1. (A) Quantitative data provides the information of client’s financial position. On the basis of quantitative data financial advisor can make the financial projections and construct income and expenditure table and budget for the client. The purpose is to get details from the client such as income and its sources, expenses, tax implication, value of assets, debts, insurance cover etc. Qualitative data provides the information about the client’s priorities. Client’s behavior and social aspects helps the financial advisor to make the suitable recommendations. Knowing clients social background, thinking process, objectives and risk aversion is always helpful for the financial advisor for the decision making assignment help (Custers, 2004). 1. Expense Requirement – Client’s future expense requirement is not provided, which is necessary to determine the retirement plan that will be best for the client. 2. Taxation Information – Nothing is provided about the taxes applicable on the client without which income statement can’t be completed. 3. Insurance Cover – Complete information regarding insurance cover and client’s expectation regarding the insurance cover is not provided which is useful for calculation of the future expenses. 4. Cash and Bank Balance – Opening balances of cash and bank is not provided and client’s requirement about the bank balances at the time of retirement is not provided which is necessary for the financial planning. 5. Client’s expectation about the portfolio is not provided which is useful to know the money required by the client in future for investment (Elmer, 2004). (D) All the necessary information should be collected from the client and if client refuses to provide any part of the information than it is the duty of the advisor to make client understand the need of the information, why they are attempting to collect the information and what will be the use of the information. The financial advisor must warn the client if all the necessary information is not provided than financial advice may be inappropriate for the client (Smyth et al, 1996). (E) Know your client rule – When a recommendation on a security is made the recommendation must be appropriate to the client’s investment objective, financial situation and particular needs. 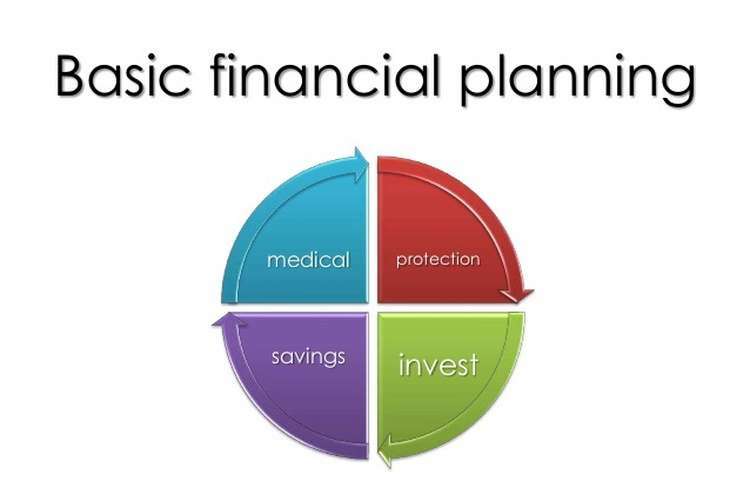 Financial advisor’s first step is to collect data and in that process data about client’s objectives, background, expectations, asset base, debts payable, insurance cover required, risk aversion and needs are collected so this automatically helps in following the obligation to follow know your client rule. Know your product rule – When a recommendation is made about a security, an advisor must have considered and researched the product and made the recommendation on that basis. While preparing for the advice financial advisor have to understand different products that can be offered to client. While collecting the information about the client, financial advisor comes to know the different requirement of the client on the basis of objectives and financial background of the client and then he can research about the products that can best suits the client’s requirement this will automatically fulfills the obligation to follow the Know your product rule (Geradts & Sommer, 2008). (a) Are you sure this is best portfolio for you? (b) Do you want to get better out of your investment? (a) As I listening to you, I came to know that we can plan something better for you, can we go ahead? (b) I think this plan is not working for your financial objectives, Please take another look on your investments. Intension – Intension is the mindset of the person. It is important for any type of communication skills. The listeners try to capture all the information without any hurdle or putting words into speaker’s mouth. Intension is to understand clearly what sender wants to say (Harcourt, 2006). Attention – It means focusing on the situation. Attention is necessary for both verbal and non-verbal communication. The listener gives their whole attention to the speaker. Attention means noticing both verbal and non-verbal communication send by the sender (Hildebrandt & Gutwirth, 2008). Physical Attending – Paying attention to the sender of the communication increases the effectiveness of the listening. Using Encourages – Encourages includes eye contacts, nodding, smiling and small phrases like ‘yes’, ‘we’, ’uhh’ can encourage the speaker and shows the alertness of the speaker. Paraphrasing – It means reflecting what listener understands from the communication. It is simply not repeating what has been heard, it means what listener understand in his own words (Jaquet & David, 2008). Questioning – It shows activeness on the part of listener. It also make sender more alert. Questioning brings more clarity and interest in the communication process. Silence – Silence is important part of the communication. It gives time to listener to understand the communication and sender the time to assess the situation. Good listeners are comfortable with the silence and use this time to understand the communication. 2. Risk Profiling is the level of risk an individual wants to take. It is the limit up to which an individual wants to tolerate the risk. Risk profiling is not the exact science; various tools are used to analyze the risk, compare the outcome and uses the different tools to get the desired result. Risk profiling is very important part of the financial planning process. It is mandatory for the advisers to get views of the client about the risk and their willingness to take the risk. In the audits conducted by the ASIC, advisers are questioned how did you assess the risk of the client and the attitude of the client towards risk. Risk profiling is also important for the financial advisors to have their own risk profiling because every client is different on the prospective of risk. Risk profiling categorizes clients according to their risk tolerance for different investments. There is a variety of categories used, for example, conservative, balanced and aggressive. The categories reflect clients with a very low risk tolerance with little acceptance of risk to a very high risk tolerance with a willingness to accept the possibility of some financial loss for much larger returns (Kephart & Chess, 2003). 3. After getting the information from the Mary, her financial needs and objective are determined. As from the case study Mary’s objective is to get a good amount after the retirement for her cost of living and meet her debts at time. Mary is investing in the shares as well as she has the property in her name and she is not willing to take the risk. After that suitable product match with this profile would be found. It should be considered that product should be close to the risk profile of the client as many products with the similar characteristics are available but the best match should only be selected (Leopold & Meints, 2008). It is important to review the advice given to the Mary as at the time of retirement her risk tolerance can change so it is advisable to give her advice at regular interval. 4. Client risk profiling is the method of establishing the level of risk client is willing to tolerate. Risk profiling depends on the client’s attitude towards the risk. The higher the level of risk associated with an investment, the lower the likelihood of the desired outcome being achieved. On the other hand, the longer the time of investments, the greater the likelihood of a favorable outcome. Assessment of a client’s risk profile is not an exact science (Lyon, 2003). A range of different tools are used by financial advisers. Some involve a detailed set of questions, while others use a very limited set of questions. While some provide a numerical value representing the client’s risk profile, others provide a descriptive summary of the personalities involved. Risk profiling is to categorize client according to their risk tolerance for different investments. There is a variety of categories used, for example, conservative, balanced and aggressive. The categories reflect clients with very low risk tolerance Risk profiling categories clients according to their risk tolerance for different investments. There is a variety of categories used, for example, conservative, balanced and aggressive. The categories reflect clients with a very low risk tolerance with little acceptance of risk to a very high risk tolerance with a willingness to accept the possibility of some financial loss for much larger returns (Nabeth, 2008). It is assumed that Term Deposits are non-recurring in nature. She is ready to invest in equities and bear risk for the prospects of future expected higher returns. She is willing to experience the ups and downs in the market to a reasonable extent, to get higher returns. Her concern is to get returns rather than the main object of keeping the money safe. She is actively engaged in purchasing and selling of shares to maximize her returns. Her risk bearing capability is appreciable. Market Value Risks: Mary has a considerable part of her share investment in Australian Equities. She has planned to invest more in Australian equities with the proceeds of Term Deposits. There is a risk of market value fluctuations of the shares, so it is quite unjustified (Schwartz, 2000). Conservative approach: As per the stated investor type, Mary is Moderately Conservative Investor, and if you never take any risk it may be difficult to reach your financial goals, so her risk profile is not appreciable. She has invested in some risk securities, but it may not be feasible to reach her goals (Solove, 2004). Deductible interest expense Rental expenses, repairs etc. A measure of a person’s ability to service debts, expressed as a percentage. The debt service coverage ratio is a financial ratio that measures the person's ability to pay their debts. The average propensity to save (APS), also known as the savings ratio, is an economics term that refers to the proportion of income which is saved, usually expressed for household savings as a percentage of total household disposable income. Less Risk Bearing Ability: The risk taken by Mary is not up to the level of attaining desired objectives. Delayed Investment: To achieve the desired objectives, Mary should have started a planned investment portfolio at an early age, which does not seem to be. Insufficient Amount Invested: The amount invested is insufficient in comparison to desired objectives and debt obligations. (1) Financial advisers are service providers who assist the client in achieving their financial objectives and financial needs. Financial advisers analyze the client’, collect quantitative and qualitative information by interview and form filing, which helps the advisers to understand the client’s objectives and find a suitable plan for the client, develop strategies and match them with existing strategies with developed strategies and modify the strategies as required. Commission – commission is paid to the advisers from the entry fee paid by the investor to the fund manager. Trailing Commission – It is paid to the advisers over the life of the investment. It is recurring income for the financial advisers. Fee for services – This is modern way of compensation. In this advisers works on the basis of cost schedule, hourly rate or on percentage of asset basis. (C) In Australia financial adviser are regulated by the Australian security and investment commission (ASIC). Advisers who offer to advice that could influence the decision of the client must meet minimum training requirements and get licensed by the ASIC. ASIC is responsible for the development of the financial adviser’s growth in the country. Every License holder is to follow the compliance of the ASIC. To become a license holder ASIC provides training about the financial products to the individual. ASIC starts run and manage different investment schemes. ASIC provides scheme for the superannuation and other various retirement benefits. 2. The government’s Future of Financial Advice (FOFA) reforms are a response to the inquiry undertaken by the Parliamentary Joint Committee on Corporations and Financial Services (the Ripoll inquiry). Explain the objectives of the FOFA reforms and discuss whether you believe they will achieve their objectives. Discuss what the advantages and disadvantages will be to the various stakeholders in the industry. The Future of Financial Advice (FoFA) reforms were introduced to improve the quality of advice consumers receive and increase access to more affordable kinds of financial advice. The reforms do this in a number of ways. The reforms are also the Government's response to the Parliamentary Joint Committee on Corporations and Financial Services' Inquiry into financial products and services in Australia. The reforms will be voluntary from 1 July 2012 and will become mandatory from 1 July 2013. This gives industry time to adapt whilst minimizing transition costs. The Government welcomes the significant efforts of industry, including the Financial Services Council and the Financial Planning Association to remove commissions and improve professional standards. These reforms clearly support their efforts. Percentage-based fees-will only be charged in prescribed conditions. Will be charged on investments on the advices of retail investors. Best interests duty: Under this reform a person providing personal financial advice to a retail client will be required to act in the best interest of the client. If possible priority should be given to the client interest. Ban on volume payments: this prohibits any commission for the retail advisers and this is designed to address the conflicts of interest of both advisers and client. Increasing transparency and flexibility of payments for financial advice by introducing a two-yearly opt-in arrangement ensuring that consumers are more engaged with their financial advice services and annual fee disclosure statements will provide consumers with transparency about the ongoing fees they pay. A prospective ban on conflicted remuneration structures including commissions, in relation to the distribution of and advice on retail investment products including managed investments, superannuation and margin loans. Expanding the availability of low-cost 'simple advice' to improve access to and affordability of financial advice. Strengthening the powers of the Australian Securities and Investments Commission to act against unscrupulous operators. Scaled advice: The Government committed as part of the FoFA reforms to facilitating the expansion of scaled advice – that is, advice about a specific area of an investor's needs, such as insurance, or about a limited range of issues. FoFA does this by supporting the provision of scaled advice in compliance with the best interests’ duty and removing the criminal sanctions that were attached to the provisions replaced by the best’s interest duty. Access to scaled advice will give consumers a low-cost advice option when they want to seek advice about single issues, such as saving for a home. To protect the interest of Clients. To maintain a standard of financial advices. Making the low cost financial advices possible. Strengthening the powers of the ASIC to act against unscrupulous operators. Australia is almost certainly the first country in the world to ban commissions on financial products, and to legislate for clients to ‘opt in’ to client contracts each other year. Now in the Australian financial services laboratory we have a bundle of legal inventions which together should improve the quality of financial advice. There is much more work to do – e.g. in training and competence, in enforcement and in encouraging professionalization – but the FOFA Bill makes a good start. Getting clarity about whose interests should come first in advice giving, demonstrates a marriage of the practical and the ethical that should always be found in any successful experiment (Steinbock, 2005). It is a good reform in the field of financials Advices. It will be proved a Land mark step in the field of financial advisory services, If it is successfully implemented. Although there are so many hurdles in implementation, a strong determined and planned mindset can make it possible. Advantages and Disadvantages will be to the various stakeholders in the industry. Less rogue advisers in the industry – because ASIC will have greater powers to remove licensees and individual advisers from the industry. Set To double compliance burden:- From a licensee's perspective, when it comes to the opt-in rules there will have to be two compliance processes in place to deal with authorized representatives who adhere to different codes of conduct, Walker said. Shift advisers under fofa are a burden: Contains greater obligations on the adviser to prove a client will be better off if they are placed in a related-party product - the so-called 'conflicts priority rule'. The rule will leave it up to advisers - rather than compliance departments - to make the ultimate judgment calls. Fofa will drive up the cost of advices: found that the cost of advice would be driven up by the cost of changing operating systems, training staff, and obtaining legal advice to ensure regulatory compliance. Decline in number of advisers: Ninety per cent of the chief executives surveyed said they expected FOFA to result in a decline in the number of firms offering financial advice. prejudicial to small advisors: The post-FOFA environment is likely to be particularly challenging for small, independent financial advice firms that will struggle under a complex and costly regulatory regime, according to the survey. Fayyad, U.M. ; Piatetsky-Shapiro, G.; Smyth, P. (1996). "From Data Mining to Knowledge Discovery in Databases management". AI Magazine 17 (3): 37–54. Geradts, Zeno; Sommer, Peter (2008). "D6.7c: Forensic Profiling". FIDIS Deliverables 6 (7c).